Mary A. Osborne’s books were inspired by travels to Tuscany and the walled village of Certaldo—home of medieval author Giovanni Boccaccio—where Mary envisioned her young heroines slipping through the narrow, cobbled streets and ancient piazzas. 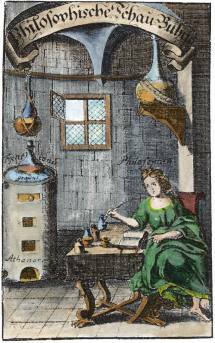 Reading about alchemy, including Psychology and Alchemy by C.G. Jung, gave her the idea for A Manual to the Science of Alchemy, a fictitious book from which excerpts appear in both Alchemy’s Daughter and Nonna’s Book of Mysteries. 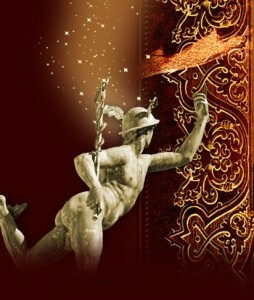 An enchanting blend of history, alchemy, adventure, and romance, her writing appeals to adults as well as teens. Alchemy’s Daughter is the story of Santina Pietra, who lives in medieval San Gimignano. Santina cares only for Calandrino, a brilliant young scholar who is preoccupied with his ancient alchemical texts. Soon Santina meets Trotula, the village midwife, who challenges her to forget Calandrino and become the woman she is meant to be. Some say she is a victim of the midwife’s spell, but Santina is determined to follow in Trotula’s footsteps even as calamities strike.apprentices to the mysterious village midwife, a suspected witch. Alchemy’s Daughter will be released in May 2015. Nonna’s Book of Mysteries is the story of Emilia Serafini, who wants is to learn to paint so that she can become an artist. But painters’ apprenticeships for young women do not exist in the Florence of Renaissance Italy. The odds appear stacked against her until she receives a fascinating book, A Manual to the Science of Alchemy, which once belonged to her grandmother. Infused with ancient mysticism, Nonna’s Book of Mysteries is an exciting portrait of a young woman who defies convention and seeks her destiny. Mary has just started the research for her third book, The Last of the Magicians. It won’t be done any time soon, but hopefully in a couple more years.